How do I stop my spots spreading? How can I stop my spots getting worse? When trying to combat spots, congestion and oily skin, the use of correct skin care is the most important course of action. But other lifestyle changes such as good diet and regular exercise will dramatically boost your results towards clearer skin. Whilst you are treating your spots and congestion, it is essential to manage the bacteria. This will ensure you don’t spread your spots and to give your skin the best chance of healing. All spots and congestion bread bacteria. If this bacteria is allowed to travel around the skin, you can spread spots and inhibit your chances of improvement. Doing things like picking spots with dirty fingernails and using the same flannel every time you wash your face could infect existing spots and cause new ones to develop. Anything that touches your skin should be clean and, when at all possible, disposable. Wash your hands before touching your face, including before washing your face. Avoid using flannels and sponges over and over again. Use damp cotton wool rounds that you can throw away after each use. If you do use sponges wash them in the washing machine regularly to avoid bacteria build up. If you do need to extract a whitehead, wash your hands and face well. Hold your face over warm water until you are slightly sweaty which open your pores. Cover your fingertips with clean tissue and GENTLY apply pressure to either side of the spot in pulses, regularly changing your position around the spot.. Allow the white ‘puss’ to come out little and often. If the whitehead comes out all in one go, it can rip the skin and cause a micro wound which can get infected and leave a scar. When all the ‘puss’ is extracted. Use an IMAGE Clarifying Pad to close the pores and thoroughly clear the hair follicle. Change your pillow case every other day after sleeping on one side each night and avoid pulling your quilt up to your face while you sleep. This also goes for any coats, collars and scarfs that constantly come to contact with your face. Try as much as you can to avoid chemicals coming into contact with your skin, cover your face when using hair spray and don’t touch your face after using cleaning products. If you apply make-up with make-up brushes and sponges, wash them thoroughly with anti-bacterial wash at least twice a week. Use a mineral based make up or tinted moisturiser as it will let your skin breath and not clog pores. When you go to the gym or exercise, your body heats and your pores open to allow the heat to escape. If you are wearing make-up, it will run into the pores. As the body cools, the pores close and the make-up becomes trapped. This can be a breeding ground for bacteria and actively cause breakouts. Be sure to take your make off thoroughly before a work out, and to wash your face immediately after exercise. This will wash away sweat and bacteria the body will excrete during exercise. This also applies to use of the steam rooms, saunas and anything that causes the skin to warm. Take your make up off before bed. Apart from allowing your skin breath overnight it also means you will have used your prescription home care that will work to balance your skin and aid healing of lesions and spots. The Clear Cell product line is rich in anti-microbial, anti-inflammatory, and anti-bacterial ingredients that work in harmony with your skin. When combined with hydrating serums such as IMAGE Hyaluronic Filler, which replenishes your skins health, the Clear Cell range can improve spots and congestion within six weeks. The IMAGE iConceal foundations are mineral-based foundations that contain natural pigment and so can be used immediately after clinical treatments such as chemical peels and as part of an acne correction home care program. All IMAGE skincare professionals can give you detailed advice about bacteria management, offer you diet and lifestyle tips and recommend a personalised prescription of home care products to clear your spots and congestion. 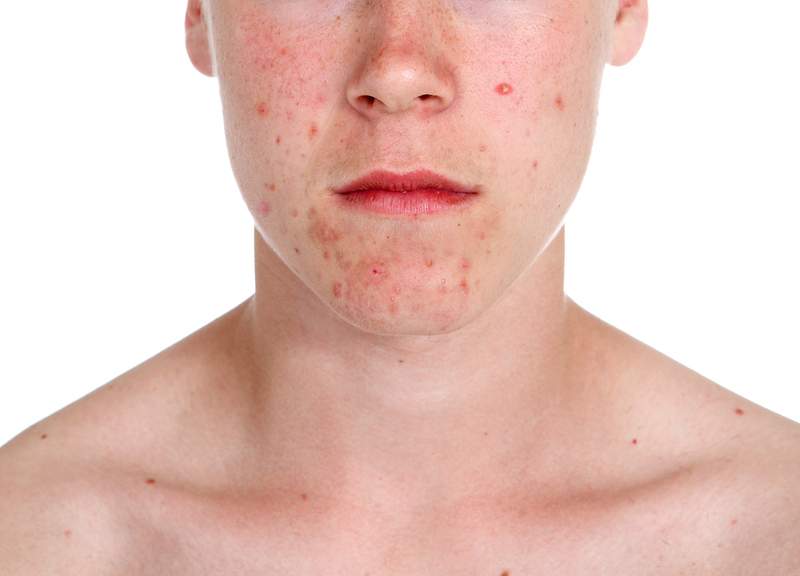 To take action against acne today, find your nearest image stockist.